Yatzie's daughter Ambeloui, from the Champagne litter, had her second litter today! 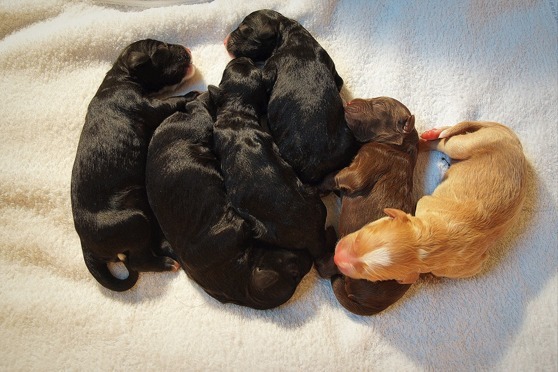 2 females, black and white, and 4 males, 1 sand, 1 brown, 2 black, all with white markings. The father is Nelum - Himalis Filip. Read more on Beli's blog: www.barbets.pl or on Splendeur Dorée Barbets Facebook page. Well done darling Beli and welcome little siblings, descendants of l'Esprit de bonté!